One of the purposes of this group is to bring Portland Bloggers together with local businesses and their products with the idea of mutual growth. Which is why we were thrilled to get an email introducing us to the Portland Insider App! The app, created by Rhonda Coleman with Sutro Media, is an app that delves into some of Portland’s unique attractions. The opening screen of the Portland Insider app. I was given a copy of the app to play around with and share with you some of my thoughts about it. So, I won’t keep you waiting! The app was written by Rhonda Coleman who is a travel blogger (BLOGGER! ), writer, and media professional. Which means… the entries have actually been photographed and vetted by her instead of by a variety of people. Her writing is often a little tongue in cheek and it feels like you are actually reading her blog posts on each of the places. Each entry has information on hours, phone numbers, and websites… but, it also has Twitter handles and Facebook addresses. I cannot be the only person who gets frustrated when they can’t find a venue’s twitter handle!? You can comment or ask a question and have Rhonda answer! It has some of the “weirder” events that happen in Portland. I love that the app has a “Festival, Fairs, and Events” section. I mean seriously… I have always wanted to know when the next Zombie walk was scheduled. Now I know! I am notoriously cheap with my app buying, and typically would not spend $2.99 on an app. If I had just seen it in the app store I would have probably skipped right over it because of the price tag. However, after skimming through it, I feel like it is more like an interactive travel guide. And, I have spent much more on travel guides that don’t interact. This is a travel guide that can help you contact your destination (in several different ways), find your way on an interactive map, and still read a review. Because it is written by just one person there are still a lot of Portland Gems that remain uncovered. However, Rhonda still covers a MASSIVE amount of fun attractions of the Rose City. In my opinion, if you are new to Portland or have been here for a while and want to explore parts of Portland you might not know about, instead of going out and buying a travel guide for $10 that will be outdated within 6 months… head on over to the Portland Insider app. You’ll get an interactive travel guide that gets regular updates and allows you to connect with the author. Well worth $2.99. We were also give 5 copies of the app to giveaway to you lovely people. Head on over to the Portland Bloggers Facebook page for a Flash Giveaway. We will be giving away 1 copy per hour on the Facebook page starting at 9 AM Valentine’s Day —tomorrow, Feb. 14, 2013! 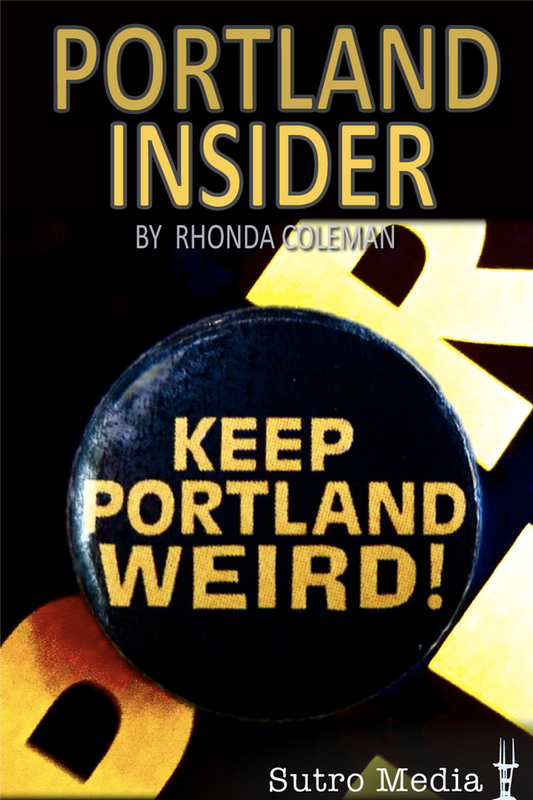 Portland Insider app is available for Android and iPhone users. Check them out on Facebook as well. Disclaimer: The thoughts expressed in this post are of the writer of the post alone and are not necessarily representative of all Portland Bloggers. No guaranteed posting or promise of positive reviews are given by the writers of this blog. The owners of this blog received free copies of the Portland Insider App, that did not influence the outcome of this post.